Art Roscoe Area Trailheads and Map. 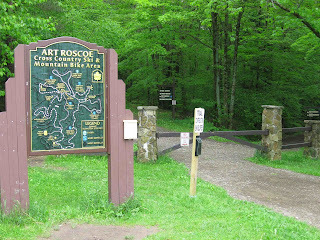 ﻿﻿﻿No matter the time of year, the Art Roscoe trail area located in the in Red House section of Allegany NY State Park is a really cool experience that started with an idea. 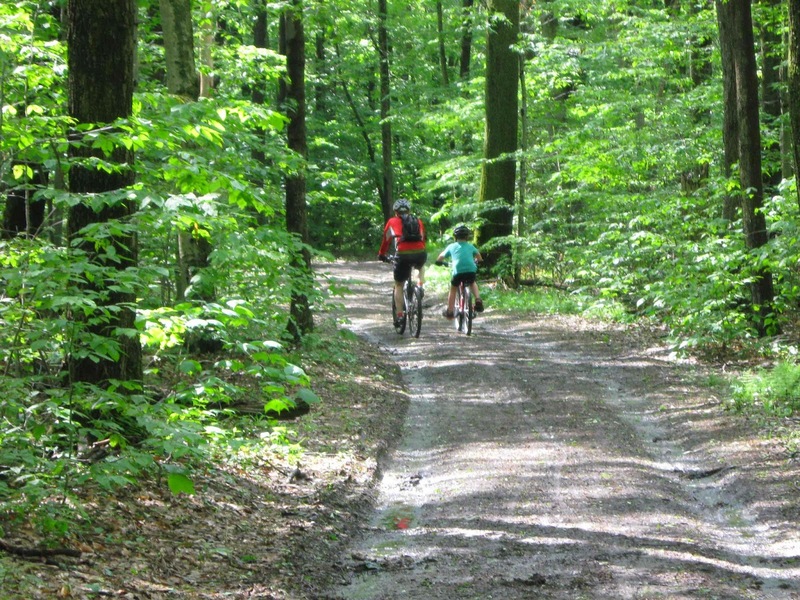 The trails are double track and single track for hiking and mountain biking in the spring, summer and fall. The area's trails are groomed in the winter months for cross-country skiing and snow shoeing. The area host nature at its finest; with tree covered trails, rock outcrops, varieties of trees, ferns, birds, insects, animals and more. You can explore the wide double track trails in the main loops or venture further on single track trails to expore deeper into the woods. The conopy makes it one cool area to explore. The Art Roscoe trail area was dedicated on December 23, 1972 as the Art Roscoe Ski Touring Area. The area was the first formaly developed ski-touring area in the park. Prior to that Art Roscoe had mapped out 50 miles of cross-country ski trails on old logging roads and hiking trails in 1937. The original trail area was mapped by Art Roscoe for the Interstate Ski Club. The Ski Club disbanded in 1972; however, Ronald A. Block, the regional administrator of the Allegany State Park, recommended that the park inprove its recreational facilities and thus created the Art Roscoe Ski Touring Area. Art J Roscoe worked in the lumber and forestry industry before entering a career at the park. His career at the park spaned 38 years as a forester and an assistant manager. The entrance to the Art Roscoe trail area is well marked, just accross from the ski rental building. The trailmap is located at the gate, with several trailheads near by. Many of the main trails are from old narrow gauge railroad beds when trees were logged for the lumber mills in Salamanca. There are 8 trails that vary from 1.5 miles to 9.7 miles in length. There are some steep areas with the terrain varying from 1,500 to 2,350 feet above sea level. The trail information from easiest to hardest is Sweetwater Loop Trail - 2.7 miles, Crossover - 0.2, Christian Hollow Loop trail -1.6 miles, Patterson Trail - 2.2 miles, Stone Tower Loop Trail - 2.3 miles, Leonard Run Loop Trail - 2.9 miles, Ridge Run Trail 3.3 miles and Snowsnake Run - 4.9 miles. 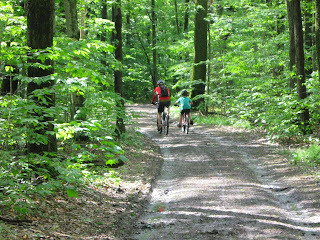 The trails are great for hiking and mountain biking in the spring, summer and early fall months. Many of the main trails are double wide for easy hiking and riding. The outer trails are single track, which take you for a more agressive hike or mountain bike ride. It is recommened to avoid the trail area during deer hunting season. A cross-country ski trail picture from the Fire Tower. bike trails. Since the original design of the area was for cross-county skiing, there is no better place. The park system maintains well marked and groomed trails in the winter, with multiple lanes. Snowshoers can also use the area, just avoid walking in the groomed area of the trails. Many of the double track trails are groomed for cross-country skiing. The single track trails may not be maintained during the winter months. At the Art Roscoe area trailhead there is a warming hut that serves snacks and has cross-country ski and snowshoe rentals. Snowmobilers are also attracted to Allegany State Park for its 90 miles of groomed snowmobile trails and over 150 winterized cabins. ﻿Also located in the Art Roscoe area is the one of the remaining fire towers. This fire tower was built in 1926 and is 66 feet tall. The park service used the tower to look over the park to spot any fires in the Red House area of the State park. 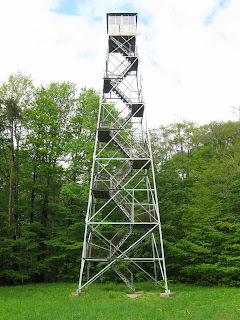 There were two other fire towers in the Allegany State Park. One of them was removed in the late 1970s / 1980s and reassembled at a new location. The other remains in the Quarker Run area. You can still climb the tower in the Art Roscoe trail area and look over the views of the park. The trees are almost as tall as the tower, but you can see how well is worked to spot files across the park back in the day. The top view box is closed to non-park personnell, but you can still get a view just underneith it. There is plaquard by the tower that shows the history of the tower and the efforts to preserve it in the park. 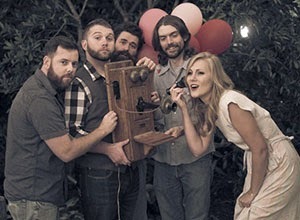 There are great pictures an it is worth a few mintues to find out more on the history. 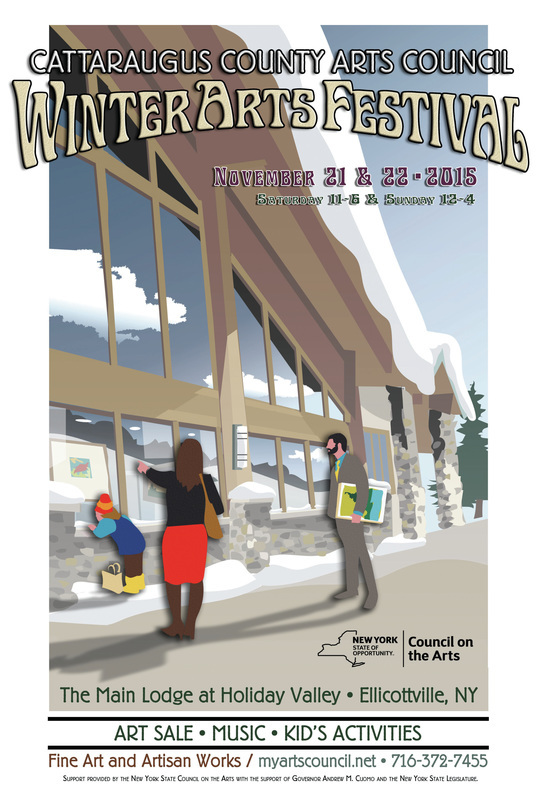 The Art Roscoe area has grown to be a hidden gem in western New York. Thousands of vistors come to the park and enjoy this cool place. We highly recommend taking a trip to explore this beautiful park and especially the fantastic Art Roscoe Cross Country Ski and Mountain bike area. 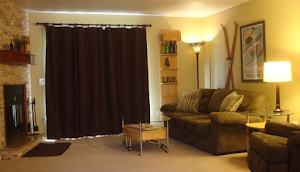 As we have shown, there are great activities year round for your to explore on foot, mountainbike or on skis. Thanks again to Art Roscoe for planting the idea for a dedicated cross-country ski area over 75 years ago. His logging trails kept the idea afloat to build this cool place where people can exercise and enjoy nature year round!